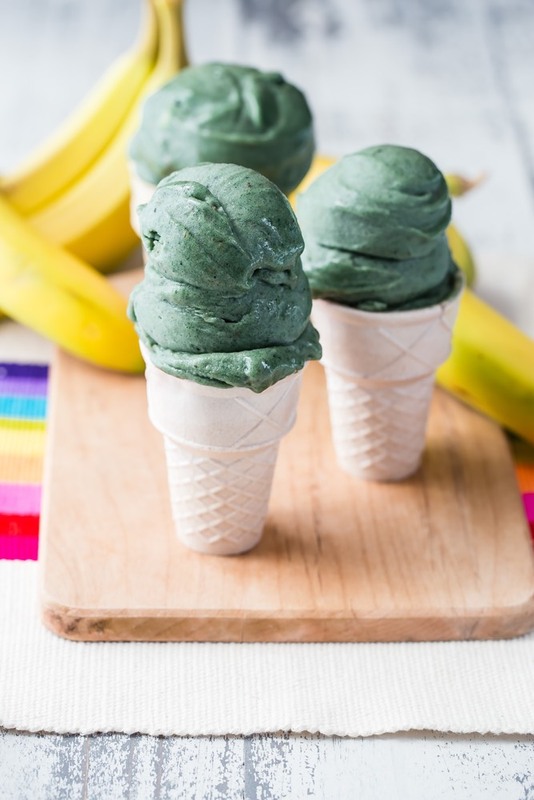 It only takes 3 ingredients + a blender to make vegan, heat wave satisfying heaven! 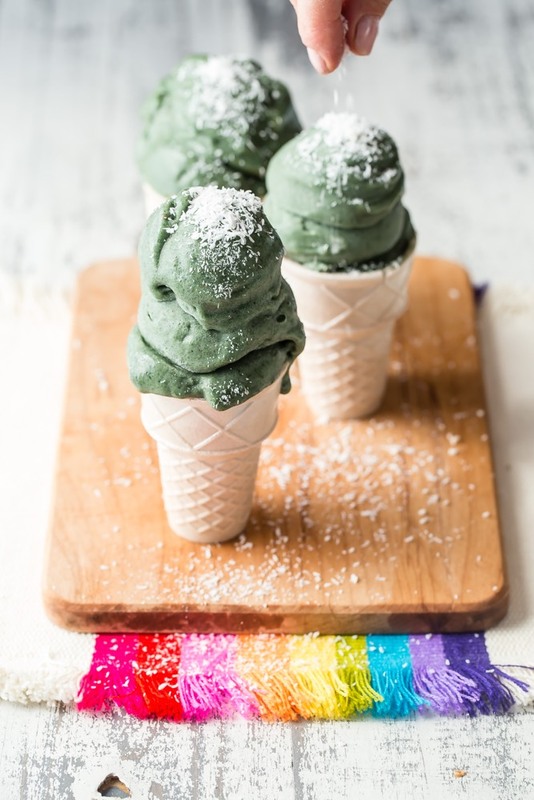 This nice cream is green thanks to spirulina - known for being one of the most nutrient-dense foods on the planet! Use your blender's plunger to help get the ingredients moving and blending. You want this to stay thick like ice cream so it needs the extra help to get fully blended and smooth. Serve immediately, or scoop into cones and set in the freezer for a few minutes to firm up! 1. 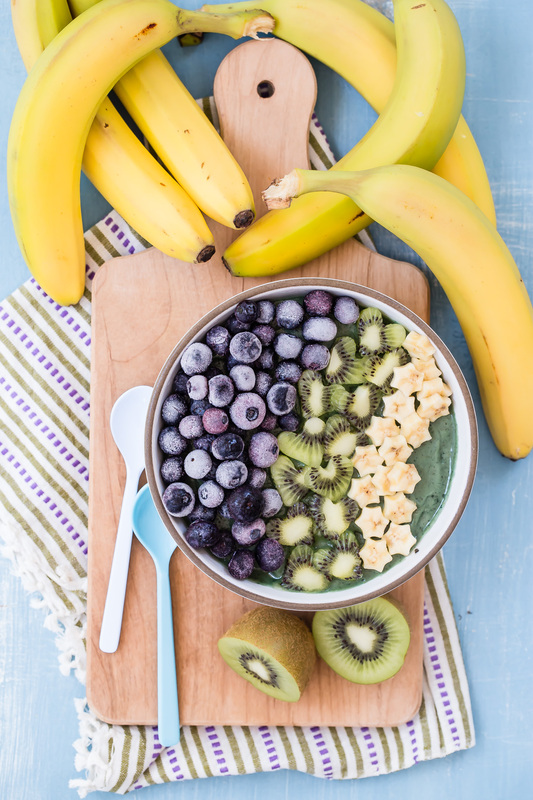 Place all the ingredients in a blender or food processor and blend until smooth and creamy. Add a splash of almond milk if your blender isn't strong enough to get the mixture moving.